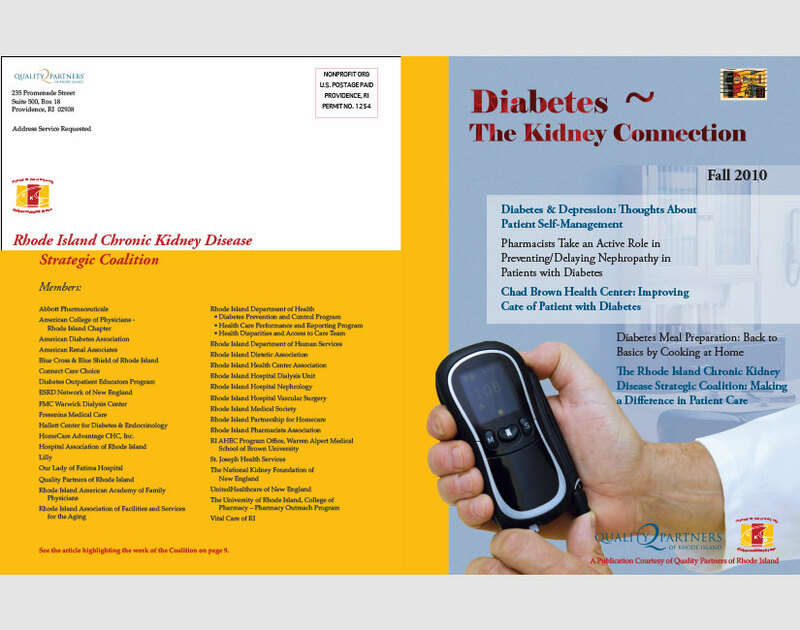 Diabetes ~ The Kidney Connection was a magazine created and distributed in support of a chronic kidney disease project sponsored by the Centers for Medicare & Medicaid Services. 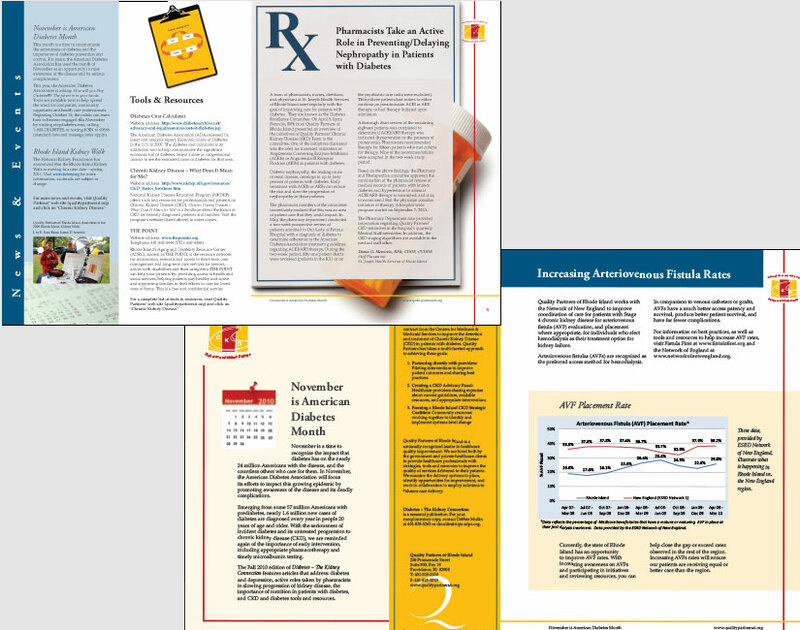 Magazines were mailed to healthcare professionals in the New England area and included articles written by area experts. In total, five issues were created. In addition to design, I assisted with writing, editing and selection of appropriate stock photography. Magazines were professionally printed.